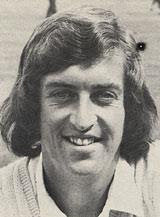 I dedicate this space to the late Bob Woolmer. A fantastic cricketer, coach, commentator and dear person. He has dedicated his life for cricket and now the victim of his very own game. Let his soul Rest in Peace! Composing this post with burning eyes and aching body! Yes, I was one in the billion who watched 70% of the proceedings of yesterdays match. Former World cup runners up, getting virtually eliminated at the first round. Earlier in one of my post I wrote Pakistan's defeat a "Humiliation". But how do I call yesterdays match then. It was worse than that. Who is to be blamed Dravid, Viru, Chappel or me! Everyone, the root cause of failure started way before the actual match itself. First on the list would be Coach - Chappel, his formula was not working at all. He had been shuffling the batting order, who's in who's out. Ultimately it ended up with shameful defeat. Next is idol of many cricket worshipers - Sachin Ramesh Tendular how can he answer himself for such a shot with a batsman of such caliber. It was a regulation cricket shot and pressure was seen earlier 2 balls he faced. The same way he disappointed in the last WC final where he played a poor shot in the very first of Magrath. He played a good role with the ball, with his off cutter and leg cutters. Next was MS Dhoni, you cant play such a poor shot to be caught inside the crease by missing the balls by miles. Rest of the players also didn't play their part well. Where from here? Better give a long rest to the Indian team, since they might have been busy with the sponsors Ads shotting. My opinion on what can be done! Please, don pray for a "Bangladesh" defeat and increase the Probability of India's chances in the Super 8. Since we don deserve to be there! true, I absolutely accept your point! But respect of team according to India and Indian fans is winning games. Even if Dada is put in and he fails, he will be trashed in the media and public. But still dada holds the aggression with him. Might be that can bring India to a position from low point like now. True, but i doubt BCCI would take this step, they don the repetition of old Ganguly. I just confimred that its not captains, but feilding and enthusiasm that counts after wathcing the AUS vs SA encoutner. still you got to watch Ricky Pointing during the match. Few things I observed was postponing the 2nd power play, that was a bold decision and used it once kallis came in. Also smith was hammering the blowing by walking down the pitch. So he got gilly near the stumps. this forced smith to stay inside and change his approach. I feel Dravid is aggressive with his mind than words or actions. He thinks in a far more educated manner than anyone else. He faces the criticism and the media with elan. Which captain do you think would have said "Everyone failed and I am responsible for that...". Dravid said. Moreover he commands respect for his deeds. Thats an attribute which every captain or a role model should possess. I feel the coach, the guts and confidence needs to be reevaluated and worked upon. Make it a Better Place!